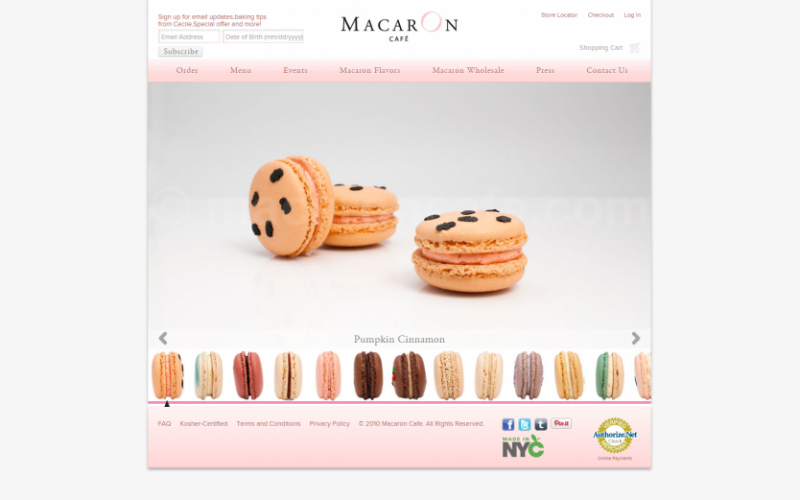 MacarOn Cafe came to Union Square Design looking to create a new site that would be capable of reaching new markets. 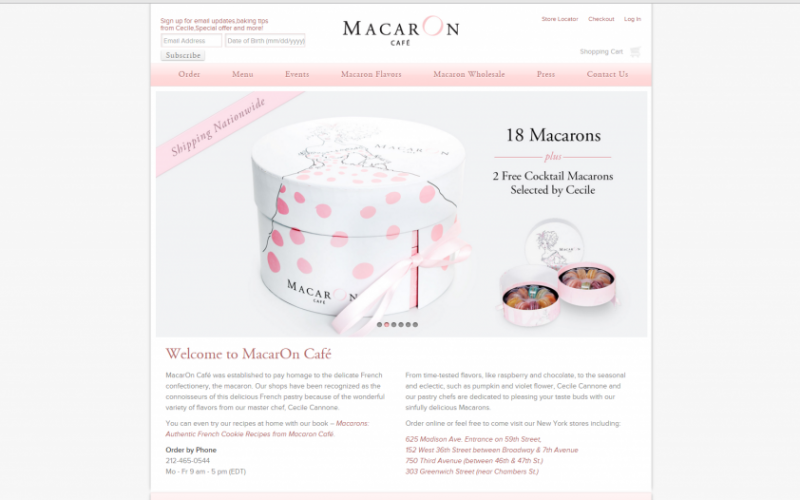 So we completely overhauled MacarOn Cafe’s homegrown site to shape it into an effective new tool that powers company growth, and attracts new customers. 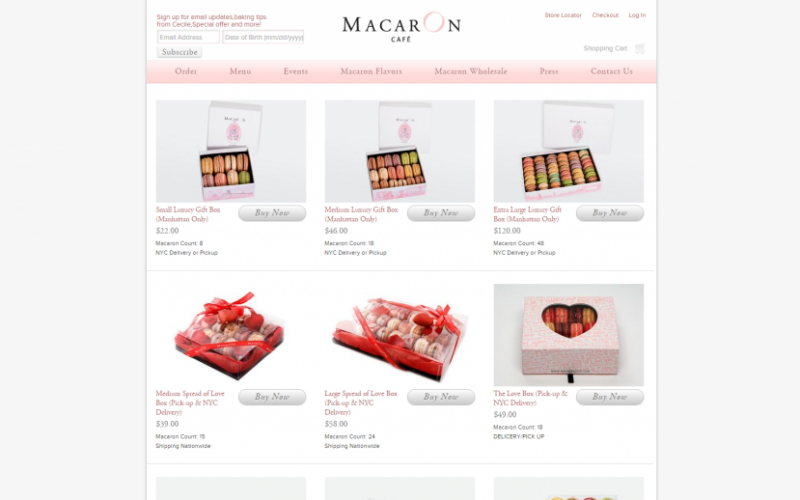 Originally, MacarOn Cafe’s site only offered options for in-store purchases. Our USD team realized that these limited options were confining the cafe’s potential customers to those who live near their four locations in New York. Thus they were completely missing out on massive markets across the country. A large part of the site’s face-lift was determining the best practices for nationwide shipping, and successfully implementing them. MacarOn Cafe offers 18 rotating flavors of their delicious French cakes, as well as salads and sandwiches for a full French dining experience. Chef Cecile Cannone’s repertoire includes both new and classic macaron flavors; they make the memories of her Paris childhood come to life in New York City. As such, she and her husband co-owner wanted their site to reflect the quaint, “Paris chic” feel of their physical locations. The website overhaul began with a new interface, with emphasis on reducing clutter and making the site more navigable. In addition, a new image library — with photography done by Union Square Design — was added to reflect the ambiance that MacarOn Cafe strives to embody. Furthermore, the team migrated the site to Magento for increased flexibility, plugin compatibility, and other features that are crucial for a dynamic and effective business site. 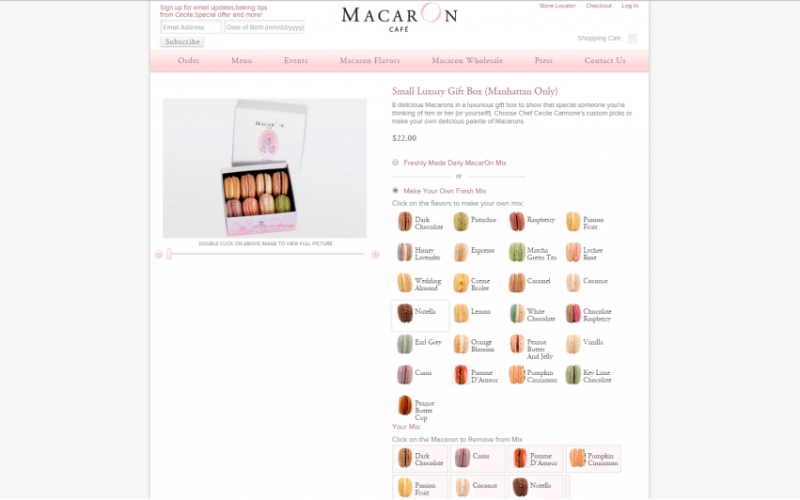 Finally, to widen MacarOn Cafe’s customer base, the option to ship macarons internationally was added. In addition to that, a new Flavor Picker toolbar was created to make choosing new flavors easy. The results: site traffic doubled, and MacarOn Cafe received the first place ranking for searches related to “macaron” and similar keywords.